Gen X may only receive 75% of its stated benefits. The Millennials ... it may be zero! Even if Congress raises the FICA contributions and eliminates the cap, the future retirement of those under age 40 is in jeopardy. And that’s just the Social Security program – that doesn’t include the mess Medicare is in. Guaranteed defined contribution plans are almost exclusively for government employees and military personnel funded by taxpayers who are left to fend for themselves with market risk defined contribution plans. Even with an employee match, it won’t be enough to retire on at age 75, which could eventually become the new benchmark for Millennial retirement. Presently, the country’s debt, guaranteed social safety net costs and government retirement obligations are over $120 trillion, so higher taxes in retirement are already a foregone conclusion. Taxation is the enemy for present day retirees and it will remain the enemy of tomorrow’s Millennial retirees. And keep in mind that taxes are the No. 1 expense in retirement and it can be managed. Defined Contribution Plans with Employer Matching Funds (strategy) Free money that’s free is as good as it gets, but it will still be taxable at ordinary income rates which will be higher by the time Millennials retire. And if Social Security is still solvent, income from defined contribution plans will be includable in the provisional income test for benefit taxation as well. The game to be played here is to match to the standard and senior deduction to offset the income from contribution plans like 401(k), 403(b) and IRAs. pay a 20% penalty and ordinary income taxes at your tax bracket. After age 65 withdrawals are tax- able for non-medical items. Once in a lifetime married couples can transfer up to the annual limit from your IRA account to your HSA account tax-free as long as you haven’t made a contribution in the year of the transfer. Roth IRAs (program) are not tax deductible, but for most Millennials it’s irrelevant. They’re either paying no income tax or very little. Why tie up your monies in taxable retirement accounts if your blended tax bracket is low? The tax savings in conventional 401(k)s and IRAs isn’t worth the associated regulations that come with ERISA. of last year. And although those modifications have some impact on the benefits, the program itself is still an interesting value proposi- tion for lifetime – tax-free income. for family members and business associates. But permanent cash value policies have recently found favor with financial advisers and RIAs as a tax-advantaged income product. There are basically three crediting methods for cash value life insurance that should be con- sidered on the basis of the policy owner’s financial profile and risk suitability. Whole life insurance is a conservative dividend crediting method with contractual guarantees. Indexed universal life insurance is a more moderate crediting method based on either foreign or domestic indices like the popular S&P 500 Index. The product doesn’t participate in dividends, but it also offers a preservation of principle aspect in the crediting account. Variable universal life insurance is a more aggressive crediting method with subaccounts that feature equity and bond instruments with market potential and risk to principle. Under current law none of these products are includable in the provisional income test for Social Security benefit taxation. So it is conceivable that many Millennial retirees could design a tax-free retirement plan around these four product lines in concert with their Social Security benefits. 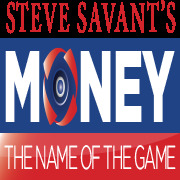 Steve Savant is a syndicated financial columnist, talk show host and popular platform speaker. Steve is a nationally recognized videographer, content creator and co-contributor to Advisys, Insmark and LifeSpecs. Steve’s videos and content are distributed to over 280 media outlets and 200,000 Twitter users. To contact him visit www.lifesizesolutions.com, email steve@lifesizesolutions.com or call (520) 261-4599.